This is a powerful statement with which few Christians will argue. However, they will argue over whether it is the written word or the spoken word—the logos or the rhema—that is the most powerful. There was a book written with this title, and the concept has swept through the charismatic branch of Christendom. Hopefully, other branches of the Church also buy into this truth. The Bible is filled with examples that show us how powerful just one word from the Lord can be. Think of Abraham, Moses, Samuel, Saul/Paul, James and John, Peter, Zacchaeus, and all the Mary’s of the gospel accounts. They each had a word spoken to them that altered the course of their life from that day forward. What DO you know about the Word? Do you know what God says about His word? Or, do you only know what preachers like me have told you about the Word? what is your experience with the Word of God? This is a widely held belief that has much research behind it showing its veracity. What you believe affects your life. As a Christian, what you believe about the Bible affects your life. affects how you live your life. 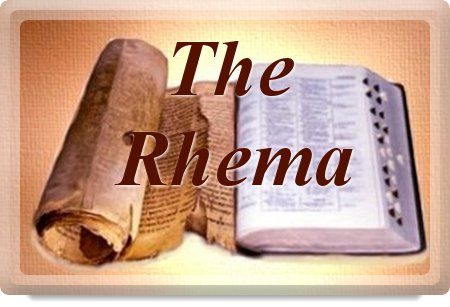 What you believe about the difference between the logos and the rhema affects your walk with the Lord. In the last few months, I have begun serious research into the teaching of logos/rhema. I’ve read numerous articles both pro and con, and I’ve done word studies within the Bible. One night as I was reading the 119th Psalm, it occurred to me to see how the Septuagint (LXX) translated that psalm. The LXX is the Greek translation of the Old Testament done 250 years prior to Christ. It is the version of the Tanakh (OT) most commonly used during the New Testament times. Psalm 119 is often referred to as “The Psalm of The Word of God,” with words such as statutes, testimony, law, word, precepts, etc. in abundance throughout the psalm. Here’s the kicker—the only word the LXX uses for either of these words in the 119th Psalm is logos. That last sentence refers specifically to the written Word we know as the Bible. We can rely on God’s Word, the Bible, absolutely.